Let’s take a closer look at the artwork for “Shawn Michaels: The Showstopper Unreleased”. The cover artwork you may have had a peek of already but here at WrestlingDVDNetwork.com we’re ending the week with a Superkick and bringing you some more exclusive shots of it including the back cover and spine, along with an updated synopsis for the release. Own 35 Shawn Michaels matches brand new to Home Video this October; pre-order the collection for only $23.74 by clicking here to Amazon.com. If the price should drop before October then you will automatically pay only that lower price. The Showstopper (well, Amazon) guarantees it! 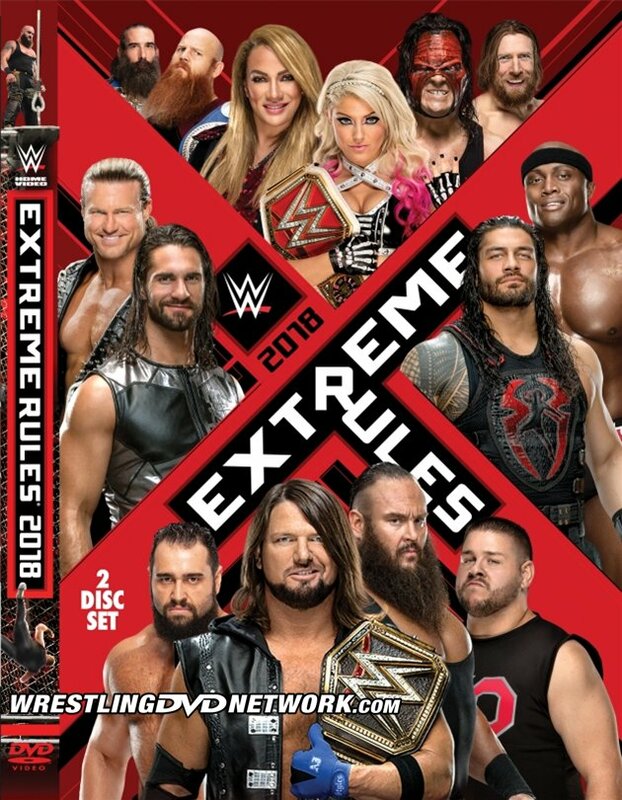 Speaking of artwork, here’s your first look at the cover design for WWE’s Extreme Rules 2018 DVD! Most of the marquee matches from Extreme Rules are spotlighted here with imagery of 14 featured WWE Superstars. Kevin Owens’ fall from the cage is shown on the spine and the back cover. As expected this will be a 2-disc set. We should be able to confirm any extras soon. Is July’s big WWE DVD release “The Shield: Justice For All” in your collection yet? Below you can preview some more of the new material found in the set – one of the new interview segments with Roman Reigns in which he talks about his passion for WWE and being the guy to follow in John Cena’s footsteps. The Shield’s new WWE DVD is available now in both the USA ($20.40; Amazon.com) and the UK (£24.99; Amazon.co.uk). “Greatest Royal Rumble” has finally been added to WWE’s 2018 Home Video schedule! The Pay-Per-View is coming to DVD on November 13th in the United States and is expected to follow as a worldwide release. This will be a 2-disc set and it can already be pre-ordered now. The next WWE DVD release on the way is also a PPV – Money in the Bank 2018. 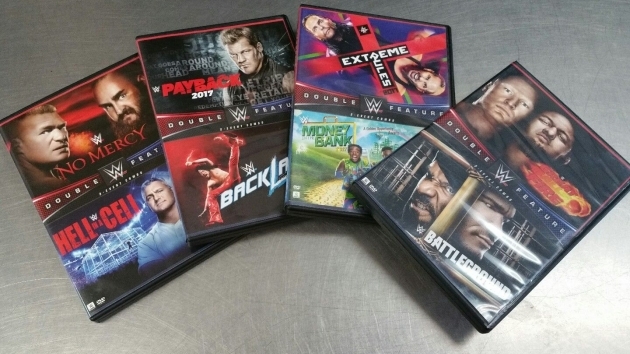 EBAY WATCH: Here’s your roundup of the most noteworthy WWE/F DVD goodies up for grabs in eBay auctions this weekend – some great deals, some rare stuff and some massive lots! Among them is the “Monday Night War Vol. 1: Shots Fired” Blu-ray which we noticed has been bid up to $41.00 (and priced high on Amazon) so this title might have become tricky to find. Honestly even if they did another HBK dvd I would be all in, he’s probably got the richest amount of good matches. I’ll add to my collection. I’ve loved the covers for Backlash and Extreme Rules, but hated the PPVs themselves. Proof positive that you can never have it all, lol. I have appreciated the move away from spoiler covers though. Nice… I like the back of the Michaels set! (I’m just imagining it right now in my head as a Blu-Ray set! It would have been awesome)! Interesting how there was discussion on WWE lowering how many PPV events they were going to have this year. When you add the GRR and the upcoming Australia show, the number seems about the same. They ran 16 ppv’s in 2017. This year they eliminated 5 of them. Payback, Great Balls Of Fire, Battleground, No Mercy and Clash Of Champions. But they added Greatest Royal Rumble and Super Show-Down. So there’s 13 ppv’s set for 2018. I was actually going to mention you in my post because I knew you’d be right there with the stats. I also just read some news about them possibly adding another event this year besides the Australia show involving just the ladies. We will see. Yeah there’s talk that this might be the big announcement Stephanie makes on Raw this Monday. Idk if GRR and SSD are actual ppvs though. I believe they’re more like special events. PPVS traditionally or always don’t have the main event match announced several weeks before the event happens like they did for Taker vs HHH at SSD. PPV matches, the big matches anyway will be officially announced either after they get built up a certain amount or after one match participant issues a challenge to their opponent which is official once accepted. And regarding those special events, make it 3 this year with the all women’s event titled Evolution in October at Nassau Coliseum in Long Island NY. Any event that airs on traditional pay-per-view channels (cable, satellite, etc.) is considered a PPV. And those shows aired/will air on traditional PPV. Regardless what WWE says about “only available on the WWE Network”, all of their events still air on traditional PPV channels as well. 1. They aren’t traditional ppvs that aired every year. Yeah that can be said about Great Balls of Fire too but I think that’s bc the reaction to the ppv or its name were well received. And GRR and SSD were/are not happening in traditional ppv show countries/venues. They’re like that Beast In The East show from Japan, a special event. 2. These special events aren’t as long as ppvs typically are I don’t think. 3. There’s one ppv a month. Especially now with all of them being co-branded. GRR was in April, same month as Backlash. SSD and Evolution are in October, same month as whatever ppv is gonna be on that same month which might be No Mercy again. With the exception of a Tornado Tag Match that was in fact released worldwide, one vs. Jericho that was already released to the UK and European market and a match vs. Ric Flair that was released to Japan. What are you talking about? Are you saying that these matches should have been on this Unreleased set?? He’s talking about the fact that one of the matches isn’t actually unreleased – someone messed up a little on that one. That can’t be disputed so Rabid has a point. The country exclusives though never really count the same as the WWE DVDs on the main schedule for worldwide release, so I can’t agree with those extra two. It counts to buyers within the regions those matches were released in, surely. That’s room on the discs which could have been used for truly unreleased matches worldwide and wasted space for European and Japanese buyers. The title still specifies ‘Unreleased’ in the UK/Europe and Japan, so it’s false advertising within those regions. Not sure how that can be disputed. Those regions are getting less for their money. My point is, why couldn’t they just find three alternative matches instead of those three, just to avoid the issue completely and fully stick to the ‘Unreleased’ concept for the whole world? There isn’t a shortage of matches in the vault. Obviously I and everyone else can see what you are saying so a UK fan like yourself might be disappointed – but exclusives such as UK exclusives have always kind of ran separately to the main schedule ones that get a release everywhere and it is those WWE traditionally look at as to what has and has not been released. So it doesn’t change now all of a sudden. Both front and back covers of ‘Shawn Micheals-the show-stoppa Un-released’ and ‘Extreme Rules’ look great. 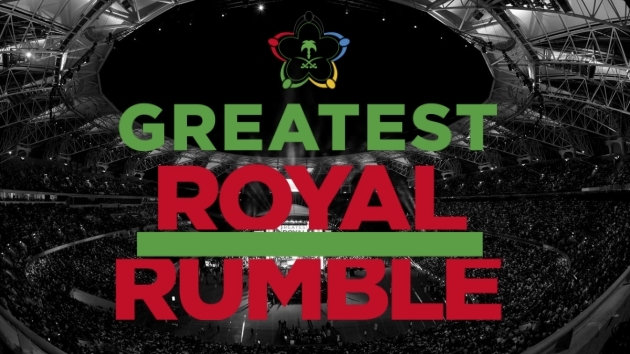 Can’t wait 4 november for ‘The Greatest Royal Rumble’ d.v.d. There have been rumors that Vince Mcmahon may give the go ahead to have 2 ‘WRESTLEMANIAS’ a year starting next year and there may be a all women’s wrestling event. If these rumors turn out to be true and they turn out great, the ‘w.w.e’ will have truly done the impossible. I have no problem with that.The more the merrier. There won’t be two seperate WrestleManias in 1 year. If anything they’ll make it a back-to-back 2 day event on Saturday and Sunday. And even that doesn’t sound good. That back cover is so good. Love it.